Home / CATEGORIES / ENVIRONMENTALISM / How sustainable is snowboarding? I love to live in the mountains. I wish to go even more off the grid, away from touristic towns and villages. And by living in the middle of beautiful mountainy I can´t stop thinking about how much they changed over the years and all the ways we are harming them. We snowboard, we love mountains, we love snow and we love being outside. But are we being hypocrites? Are we the same as some surf hippy driving a big Jeep to the beach to catch some waves and be one with nature. Ignoring the problem if it effects our hobby and fun. How much are we contributing to climate change with our days spent in nature? Are all the lovers of snow also destroyers of it? How sustainable is our hobby? And what can we do to keep it green or should I say white? If you live in the mountains and work in the snowboard industry it´s normal to buy a season ticket, some new high-tech equipment, and hit the mountains every weekend. But my heart is not OK with that and my mind can´t stop processing all the bad things that come with all this. So let´s take a look…. How sustainable is snowboarding equipment? If we look at the industry and snowboard equipment, it´s pretty sure there is nothing green there except if you ride your homemade upcycled wooden board and your mom´s 80´s onesie. Snowboards are made out of layers of fiberglass, with the wood core in the middle, glued together with layers of epoxy. There are a lot of different woods and less or more eco-friendly epoxy “glue”. But the bottom line is the result of this production, no matter how green it is, is still non-recyclable snowboard. There are companies on the market that try harder than others and having eco-friendlier production (Jones, Arbor, LibTech, Capita,…). 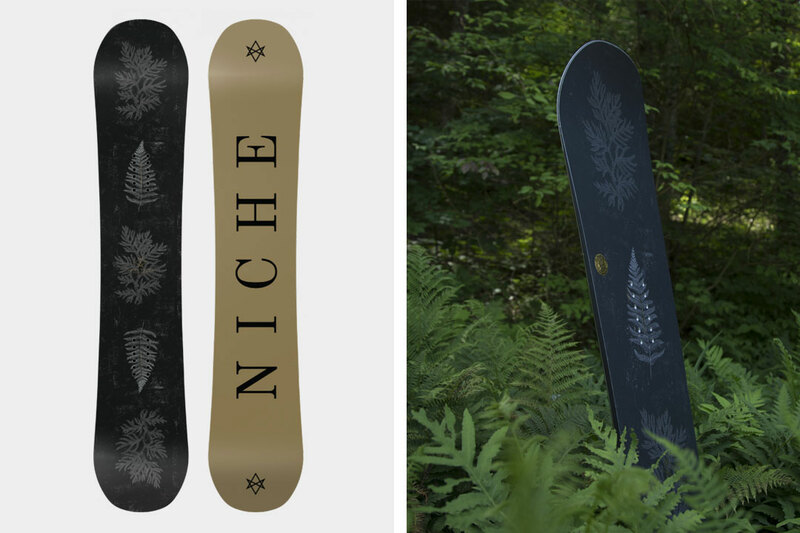 There is one company right now that makes 100% recyclable snowboards – Niche snowboards. They are made in Austrian Mothership factory, that claims to be the most environmentally responsible snowboard factory in the world. My green advice is to sell or donate your old boards to somebody that needs it or will turn it into something else. And also to buy 2nd hand snowboards (and other snowboard equipment) on snowboard markets, online, from friends … You (or somebody that knows how to do it) can turn your old snowboard into a splitboard if you want one. But please don´t buy your equipment from online shops that would need to ship your equipment across Europe or even the World. Replace the broken parts, fiy the base of the board, wax it and take care of your equipment (here I fails sometimes). How sustainable are our snowboard clothes? So let´s check materials. The most praised material, when it comes to waterproof/breathable outdoor clothing is Gore-Tex. Unfortunately, Gore-Tex is made from the highly toxic, extremely persistent group of chemicals called perfluorochemicals (PFCs). Also used in Teflon, Stainmaster and Scotchgard, PFCs now thoroughly contaminate our air, water, and bloodstreams. But some of the high-performance alternatives out there might be just as bad. PFCs – leaving their mark A recent Greenpeace Germany report showed that these pollutants are found in secluded mountain lakes and snow from remote locations. Studies show that PFCs can accumulate in living organisms such as the livers of polar bears in the Arctic and are also detected in human blood. Animal studies provide evidence that some PFCs cause harm to reproduction, promote the growth of tumors and affect the hormone system. The demand for the outdoor industry to drastically reduce its use of PFCs resulting in their elimination is supported by many scientists. More than 200 scientists from 38 countries signed the ‘Madrid statement’, which recommends avoiding the use of all PFCs (both long and short chain) for the production of consumer products, including textiles, in line with the precautionary principle. The study revealed that not only outdoor clothing and footwear but also camping and hiking equipment such as backpacks, tents, and sleeping bags contain chemicals that are hazardous to the environment and to human health Greenpeace product test. Patagonia developed its own environmentally friendly polyester-based version of Gore-Tex made with 100 percent recycled fabrics. 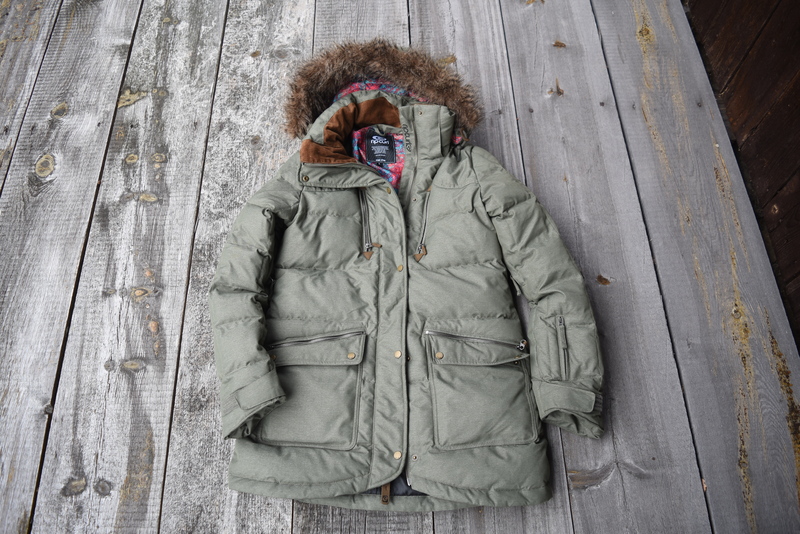 Some of their winter jackets are even lined with post-consumer recycled soda-bottle fleece. Many global brands are already bluesign® system partners. With their bluesign® system labeled textiles they show that they continuously improve their environmental performance and responsibly act towards people and environment. There is a lot of brands out there that try to jump on green train and I´m happy they do. There are some brands out there that make jackets from recycled PET bottles, recycled polyester, are dye free, not coated. But in the end, the most sustainable jacket is 2nd hand one and after that the one from a good, far, sustainable brand that uses non-toxic materials and sustainable production. There is one company leading the way and showing that it is “absolutely possible” for outdoor brands to produce high-performance gear without using hazardous chemicals, says Cecilia Preite Martinez, a spokesperson for Greenpeace’s Detox campaign “Páramo is setting the highest standard in the whole outdoor sector and this example should encourage bigger brands to take the lead for a toxic-free future.” I also have to mention Patagonia here. Next to their lifetime warenty and repir, sustainable productioan, recycled plyester and goos down, you can also find used clothes on their wornwear.patagonia.com. Board wax is normally full of perfluorochemicals (PFCs), petrochemicals, fluorocarbons and other harmful elements that will leave traces in the snow. When the snow melts into the ground these chemicals can then endanger the local wildlife on the mountain. When you heat the waxes that contain these chemicals you also breathe in these toxins. Look into eco-friendly wax. Sunscreen When your sunscreen washes off in lakes, rivers, and seas or for mountain fans, the shower, so do the chemicals. Take care of your skin and the environment by looking for reef safe sunscreens. If they’re reef safe they will be environmentally safe and likely made with carbon neutrality in mind. Travelling to resorts. Maintaining ski resorts. All the energy that is used. The damage we cause to trees and wildlife. Deforestation. Pollutions of all restaurants and hotels. Trash people leave behind. Water needed to make artificial snow. A good-sized ski slope can convert 18,927 to 37,854 liters of water to snow every minute! It takes about 285,000 liters of water to create a 6-inch blanket of snow covering a 61×61 meters area. Just so we can enjoy sliding down the slope. Sounds crazy, right? I hope you can understand a little bit better my concern about what impact my snowboarding has on the environment. I started snowboarding at Vogel resort in Slovenia. Vogel is part of Triglav national park, so only snow we would see is the one that falls from the sky. Today I can see snow canons running day and night, even when it´s obvious that the snow will not make it since it´s too warm. Thousands of cars driving through our town, thousands of people coming to contests, opening, light show, loud music and even a fireworks yesterday .. it´s a big business that doesn´t care about the mountains around it. We´ve been coming to Dachstein glacier´s Super park for past 10 years. Today the park has been canceled to protect the glacier. Truth or a lie, the glacier definitely needs to be protected and there is no doubt that the climate change is affecting the mountains around me. They need to limit the amount of cars driving up the Dachstein road, amount of people walking around it, amount of ski-racers going down the slopes and drilling holes, amount of hanging bridges and ice palaces they drill into the glacier. Wanna know and do more? Go Vegan – meat industry is one of the largest sources of greenhouse gases and one of the leading causal factors in the loss of biodiversity, while in developed and emerging countries it is perhaps the leading source of water pollution. Meat is also considered one of the prime factors contributing to the current sixth mass extinction.